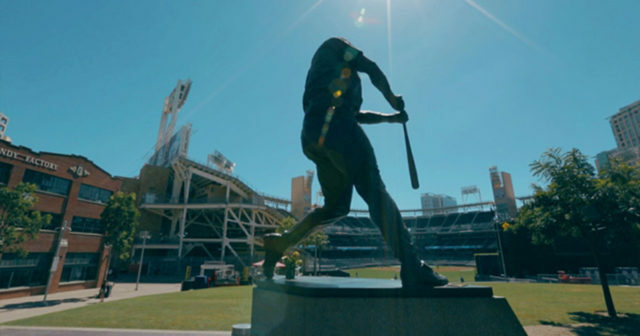 If you are lucky enough to be here in San Diego this weekend, here’s what’s going on during the 2017 San Diego Padres home opener series and also what’s new both inside and outside Petco Park. The free, family friendly 7th Annual East Village Opening Day Block Party will be the ultimate tailgating scene on J Street between 6th and 10th Avenues. Show your team pride and “root, root, root for the home team” as San Diego kick-offs the party with fun family games, activities, and much more! Enjoy great food, craft beer, and cocktails from delicious local restaurants. There will be a bike valet at the Block Party. Carnitas’ Snack Shack at Petco Park offers a variety of the thoughtfully sourced, pork-centric menu items Carnitas’ Snack Shack is known for. Wonderland at Petco Park offers a full bar, beers from Resident Brewing Co. and a variety of menu items made popular at the original Ocean Beach location. Iron Fist Brewing Co. will feature several of its local unfiltered, bottle conditioned and naturally carbonated craft beers at a dedicated cart on Craft Beer Row (sec. 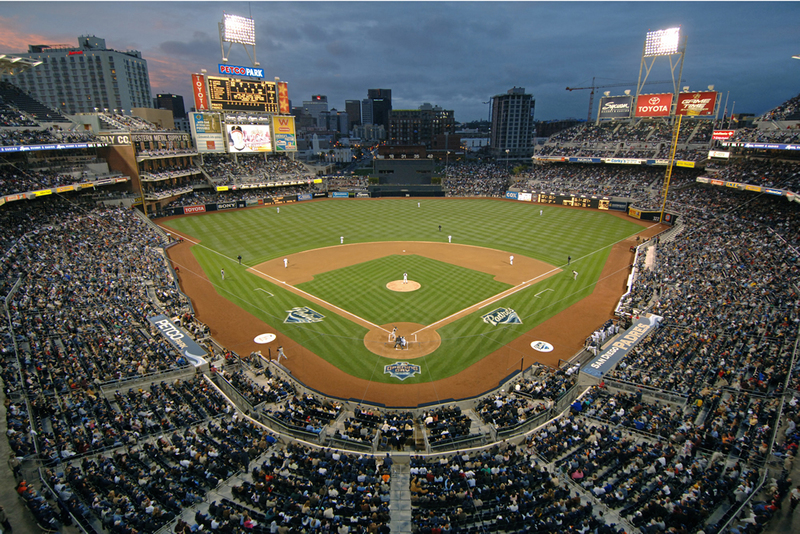 101-105), as well as at the five Craft Beers of San Diego locations throughout Petco Park (sec. 107, 211, 229, 305, 328). AleSmith Brewing Co. is partnering with the Padres to update and re-brand Club 19 to .394. This restaurant and bar will feature San Diego Pale Ale .394 and other AleSmith favorites, as well as a menu developed by Petco Park Executive Chef Carlos Vargas, in collaboration with Alicia Gwynn. Featured items will include .394 Chop Salad, Midsummer Classic Mac & Cheese, Pulled BBQ Pork Fries, Grilled Cheese and Tomato Basil Soup, Tony’s Chicken Tenders, Crispy Fried Chicken Plate, Open Face Turkey Sandwich and Fried Chicken Sandwich. Petco Park will feature Cutwater Spirits’ Fugu Vodka, Old Grove Gin and Three Sheets Rum, as well as their ready-to-enjoy canned cocktails throughout the ballpark. In addition, Cutwater Spirits is partnering with the Padres to update and re-brand the bar and restaurant space in left field on the Toyota Terrace level. The Still by Cutwater Spirits will offer indoor and outdoor seating, field views and a variety of cocktails. “Take me out to the ballgame” has a whole different meaning in San Diego. 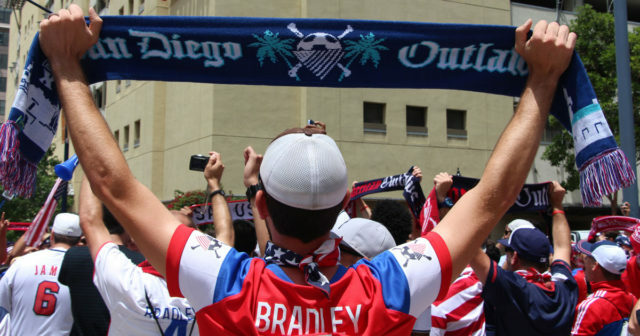 Petco Park is how this city does baseball, and it’s unlike any other fan experience. Located in downtown’s vibrant East Village, the ballpark is surrounded by exciting things to do. Inside, you’ll find fan food like you’ve never seen it before, with San Diegans’ favorite eateries and world-renowned craft beer throughout. Sometimes it really is all fun and games.